Learn about the benefits of HIIT, see a list of HIIT exercises and an example HIIT workout routine – plus get a free HIIT workout plan. HIIT (High-Intensity Interval Training) is a cardio workout that alternates between maximum effort and light recovery periods designed to burn fat. In general, the high-intensity periods are short bursts like sprints. While the recovery periods are light exercise like walking. One round of high-intensity and recovery is called a cycle. In addition, you can vary the intensity, duration, and the number of cycles performed. As a result, you can create unique HIIT workouts based on your fitness level and your goals. 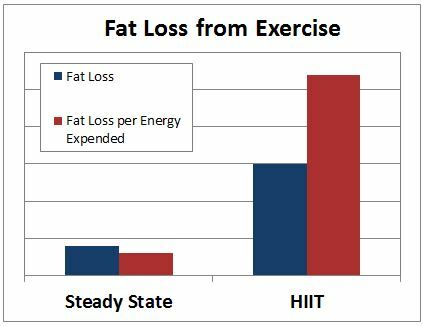 The primary benefit of HIIT is that you burn more fat compared to steady state cardio. The reason may be the effect of HIIT on post-exercise lipid utilization. In other words, your body may get better at using fat for energy. A study by the Laval University Physical Sciences Laboratory showed that participants burned nearly 4 times as much fat with HIIT. Even though they spent less than half as much energy. To put it a different way, when standardized for energy expended they burned 9 times more fat! Adapted from Tremblay et al. Imagine if you could exercise twice as long before getting tired. In that case, you’d be able to burn twice as many calories. And that would go a long way towards losing more fat. In fact, a study by the Exercise Metabolism Research Group showed just that result. The participants doubled their endurance in just 2 weeks. And most notably, in that time they performed only 6 HIIT workout sessions. Or the equivalent of about 15 minutes of total exercise. Talk about bang for your buck! Adapted from Burgomaster et al. Reducing your calorie intake is a big part of weight management. But it’s not always easy because appetite controls your eating habits. So wouldn’t it be nice if you could find an easy way to reduce your appetite? As it turns out there is a way. And the reason may have to do with HIIT’s effect on appetite-regulating hormones. A study by the University of Dammam found that people ate less after bouts of HIIT. 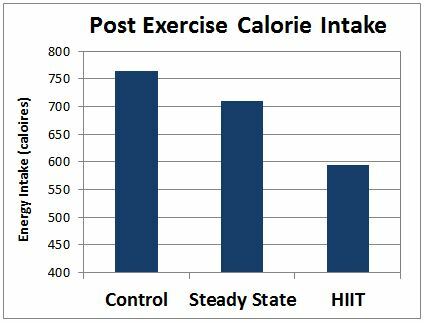 When compared to moderate exercise they ate about 115 calories less. And 170 calories less than people who didn’t exercise at all. Maybe that doesn’t sound like a lot. But when combined with the added fat burning of HIIT it really adds up. Especially over several weeks. Adapted from Sim et al. 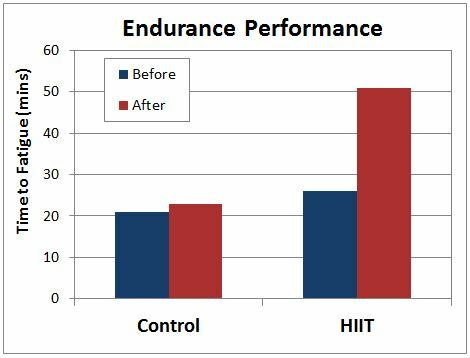 Despite the benefits, HIIT is not for everyone. It requires near maximum effort during the high-intensity intervals. As a result, some people can’t physically perform the workouts. However, this shouldn’t be an excuse if you’re generally healthy. Because there are low impact HIIT workouts as well. Another disadvantage is that the intense nature of HIIT is draining on your nervous system. And it can lead to exhaustion or overtraining if you don’t get enough rest. But you can structure your routine so that you don’t overdo it. As you’ll see in Table 2. Below are some examples of HIIT exercises. This is not intended to be a complete list. Instead, these are some of the exercises I’ve found most effective. As mentioned earlier, it’s important not to overdo it with HIIT. So a good weekly cardio routine includes low-intensity workouts and rest days. Below is an example HIIT workout for an intermediate fitness level. You can get a HIIT workout for beginners or advanced athletes in the HIIT workout plan. Now the benefits of HIIT should be clear. And you have examples of HIIT exercises and workouts. 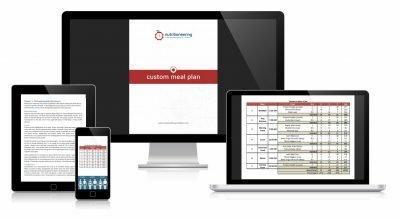 But how do you get started on your own HIIT fat loss plan? Sign up to learn how to create a personal HIIT workout plan. 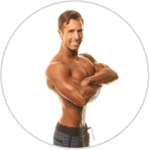 This plan goes into more detail about frequency, duration, and workout structure. It also includes example HIIT workouts for beginners. As well as more advanced routines. Enter your email to get your free plan.